Here is another interesting possibility for combinations with Wenger or Victorinox products. 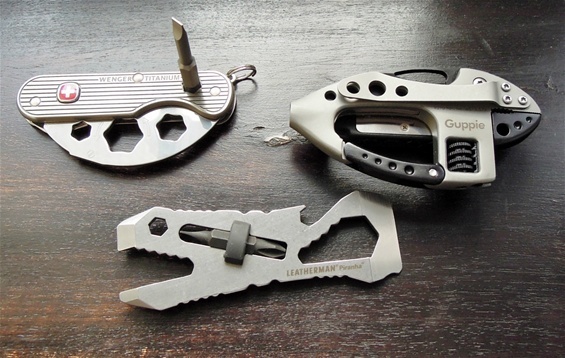 The CRKT Guppie has won awards and it is or may be a good companion. The name Guppie is because of the fish-like appearance. It is very interesting because of the design. It was very innovative when it was introduced. It got a magnetic module with bits and it also got a LED light. This light would work only for the small tasks but it is a nice feature. 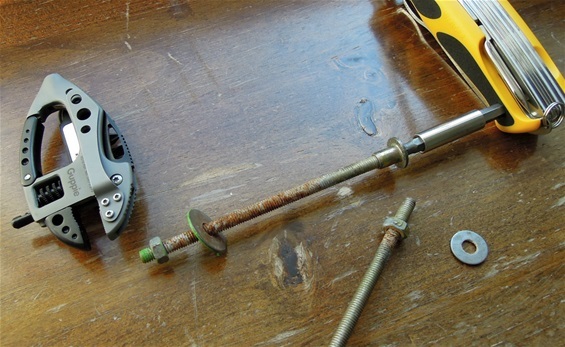 The wrench could be more precise but it holds and turns a nut/bolt. It is a nice backup or a good combination tool. It also got a knife blade that could function as a backup. The Guppie may look strange but it is a design that people should not underestimate. The possibilities increase very much with combinations also with bits. The Guppie also got a carabiner that could be used for more than carry. 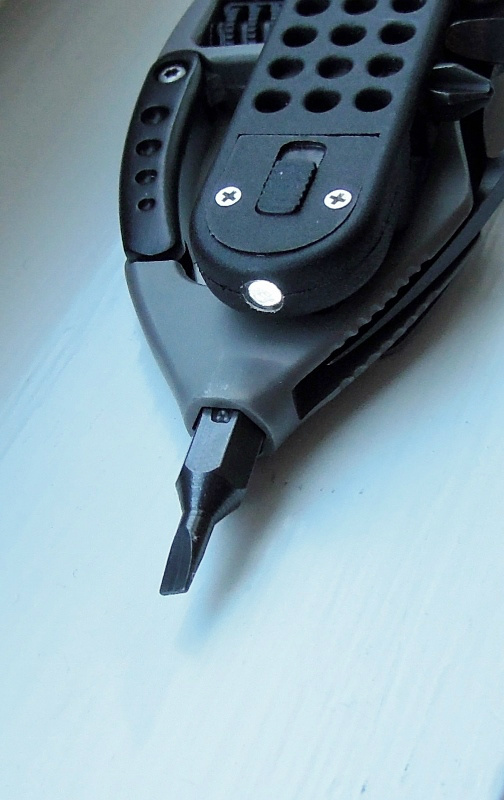 The blade on the Guppie is secure in the body of the tool, it can be opened with one hand. There is no lock. 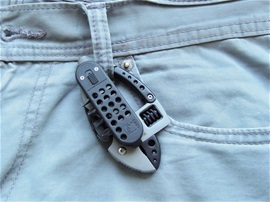 Always be careful if you carry a knife in the pocket or on a belt loop like on the picture above. 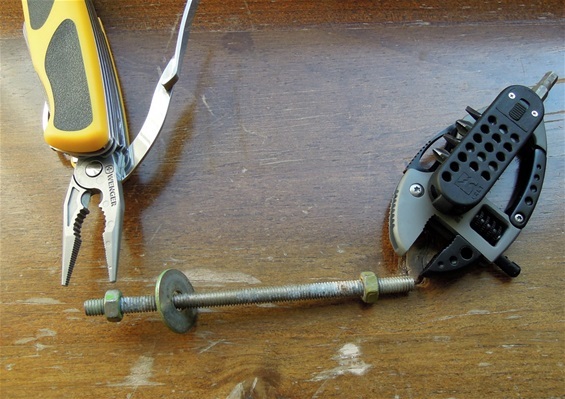 It is better to attach the carabiner on your side for safety reasons. The Guppie also got a pocket clip if you prefer such carry. It is important that strange looking knives or tools get a chance. They can be very handy for sure. There are many interesting details on the Guppie construction. It is very smart with the module and LED light. Everyone know that it can be difficult to turn a screw without a light.